For the love of all that is metal, will Testament ever put out a bad album? Here, former drummer Gene Hoglan (Death, Strapping Young Lad, etc.) returns to the fold to provide the backbone for the always-impressive thrash band. Like their 2008 comeback disc, The Formation of Damnation, this is Testament at their finest: opener "Rise Up" perfectly encapsulates the heavy thrash sound the band have absolutely perfected. "Native Blood," despite some misplaced blast beats, shows the group's ability to write melodic choruses that are catchy, but never cutesy (and when that song picks up at the end, that's pure Testament glory). Elsewhere, songs are fast and memorable ("True American Hate"), mid-tempo and aggressive (the title track), and even low and slow for the obligatory Testa-ballad (here it's "Cold Embrace," and I'm defending it, as always). 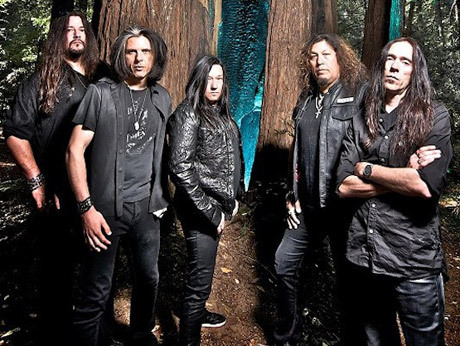 Unlike their peers, Testament just don't make missteps (the album could be a couple songs shorter, but that's my biggest complaint), continuing to craft thrash that's mature, heavy and aggressive in all the best ways. Between this and the last Kreator release, it's been a great year for thrash.